A DIFFERENT KIND OF MEAT COMPANY. At Vermont Smoke & Cure™, we’ve been consciously crafting delicious smoked meats and meat snacks since 1962. We use humanely raised meats whenever possible, and simple local ingredients like Vermont maple syrup and apple cider, combined with the highest quality spices and herbs like tamarind and quarter crack pepper. Vermont Smoke & Cure™ got its start in ‘62 in South Barre, Vermont, serving the small town made up of many recent immigrants drawn by the granite quarrying and carving industry. For the next 50 years, we operated in a farmhouse and then in the back of a gas station. In 2012 we moved 50 miles to Hinesburg, where we renovated a former cheese making facility into our world-class Smokehouse. Our team of employee-owners creates everything in our Smokehouse right here in the hills of Vermont. We pride ourselves on being a good neighbor and valuable partner to our local farmers. This is simply the way we do business – and it all combines to create the finest flavor in every bite. 100% of our employees have stock options because we want to share in our company’s success as a team. 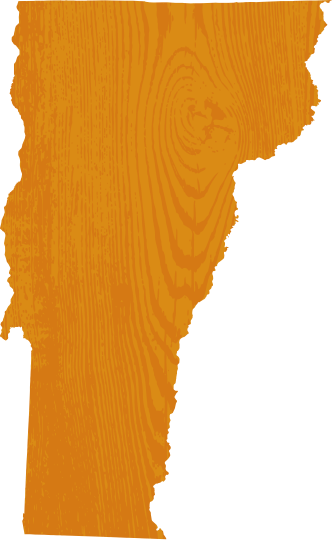 We are a Vermont Benefit Corporation. This means that we have legally committed ourselves to considering not only our business, but our community and the environment in each decision we make. Roland LeFebvre, a French-Canadian in South Barre, VT, started the smokehouse as “Roland’s” in 1962. Decades later Chris Bailey, our CEO, is expanding on Roland’s vision by sharing Vermont values with a larger market. Roland was a local guy serving his Vermont community. He was hands-on and developed the techniques and many of the recipes that we use today. Chris has the same driving passion that inspired Roland over 50 years ago: to create great tasting meats that make customers smile. Chris is a former professional cyclist and farmer and loves to cook. He has a deep reverence for our land and an intricate understanding of our food industry. A former vegetarian turned conscious meat-eater, Chris is committed to making livestock farming more humane and sustainable while making the food we eat more healthy and delicious. We’re proud that Vermont Smoke & Cure is a certified Vermont Benefit Corporation. This means that we incorporate a social mission into our business goals by considering the impact of our operations on our employees, customers, community, and the environment. You can read our Benefit Corporation report here. You should feel good about where your meat comes from. We buy all of the certified humanely raised meats we can, and we have transparent sourcing for all of our meats. Along with our customers, we’re helping the meat industry move to a future that is humane, transparent and environmentally friendly. New products start in the home kitchen of our CEO, Chris Bailey, before moving to our Smokehouse. Our bacon and ham have less salt than just about anyone, even most others’ “reduced sodium” items! Our sticks contain at least 40% less sodium and 45% less fat than leading snack sticks.